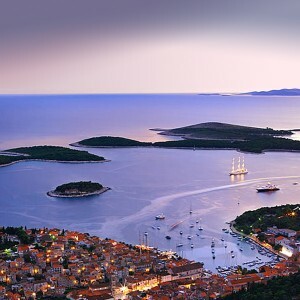 If you’re visiting Hvar this May and June – or wish to improve on your creative talents in a beautiful setting – you may well be interested to hear about a fantastic arts and crafts festival that is taking place in Hvar Town. Running from 28th May through to the 18th June, the inaugural Arts and Crafts Fun Festival will be running a number of workshops that will enable participants to pick up a new skill or learn a new craft – all on the wonderful setting that is the island of Hvar. Truly, a fantastic way of doing something creative – or doing something a little different during your holiday in Croatia! The Festival will be holding workshops that will each last six days with two three-hour sessions per day, with each day building on the previous day’s study. Workshops include papier-mache, silk and wool creative felting, silver craft and calligraphy, with each being run by experts in these fields, from both Croatia and abroad. All classes will be run in English, so you don’t have to worry about any tricky language barriers! All workshops will be held in the Hotel Podstine, where you can also stay (taking advantage of a special discount associated with the festival). Workshops are limited to 20 participants, so you can be sure that you will be getting the most from a workshop and its instructor. Each workshop costs 300 Euros, although there is a 15% discount for anyone eager enough to sign up to two or more. A 100 Euro deposit is required to sign up to a workshop. The Festival isn’t all about working hard and learning, however – and that’s where the “Fun” element of its name comes into play! There will be many additional activities and events scheduled, including sailing and cycling excursions, exhibitions and parties, with welcome events being held each Saturday as an introduction to the Festival and its new participants. 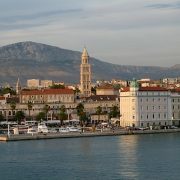 Applications for the Festival can be made on the official website – www.acffcroatia.com – where additional information can also be found. New Split - Brac - Hvar - Korcula - Dubrovnik catamaran line! Zagreb's Museum of Broken Relationships comes to the Tristan Bates Theatre in London!